Sure, Hermione is a talented witch, but she isn't nearly as special to us as Luna Lovegood! 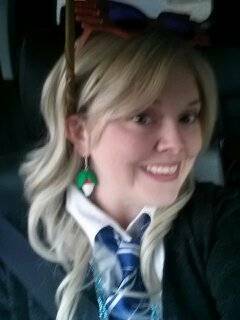 Luna Lovegood is, quite frankly, a delight! Out of all the witches that attend Hogwarts, the quirky blonde Ravenclaw is our favorite for a number of reasons. First of all, she's open-minded with a dreamy outlook on life, plus her distinct taste in fashion sets her apart from the other students. Luna is unique, witty, and especially, kind. She was so sweet and caring the first time Harry saw Thestrals and because of all these reasons, Luna is our all time favorite witch! 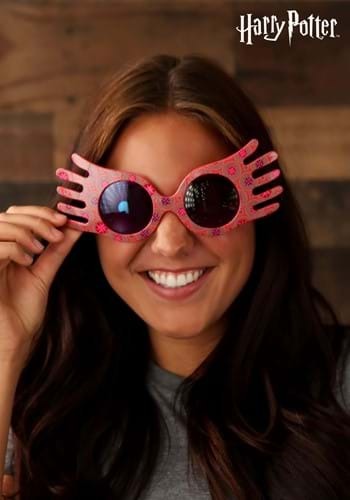 If you feel the same way we do, then you'll love these Luna Lovegood Spectre Specs. Now you can see the world through the eyes of Luna! These officially licensed pink frame glasses with wacky purple lenses are a great way to make your Luna costume more authentic. Put them on and who knows, maybe you could spot a Nargle or two. Cute but not the most comfortable. Excellent quality, and great look. Poor lens, painted, scratch easilly.